RALLYCROSS IS COMING BACK TO CIRCUIT OF THE AMERICAS. WHAT IS RALLYCROSS? HEAD-TO-HEAD, SHORT, SHARP RACING ON MIXED SURFACES (DIRT & ASPHALT) SHOWCASED IN AN STADIUM STYLE VENUES. 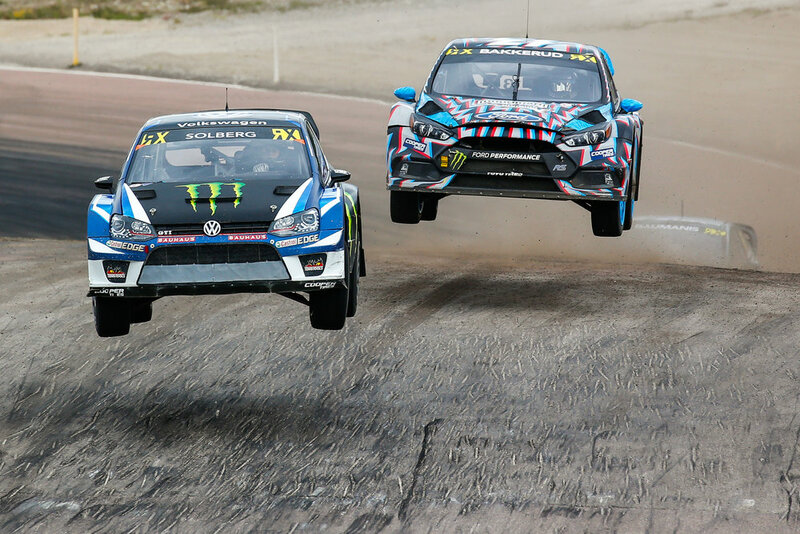 Some of the world's greatest drivers (including Ken Block, Scott Speed and Tanner Foust) are equipped with rallycross Supercars producing over 600bhp and able to accelerate from 0-60mph in less than two seconds — faster than a Formula One car. Race meetings include four action-packed qualifying heats with the top 12 drivers progressing through to knock-out semi-finals and a final. Each race begins with the cars lined up side by side and are contested over a maximum 6 laps. Rallycross tracks feature a joker lap and a jump, meaning that the drivers must put everything on the line to take victory. Each ticket gives full access to the paddock area, along with a dedicated autograph signing sessions and a public podium ceremony means which means you can get up close and personal with the drivers and their supercars, moments before they hit the track and as soon as they have finished racing!